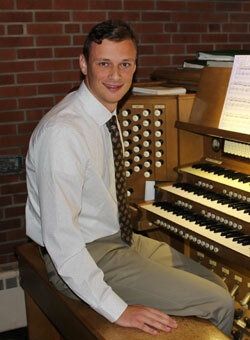 St. Mark's Music Director Christian Humcke is a talented musician and conductor. He has demonstrated these abilities Sunday after Sunday. But on Sunday, January 13, the true measure of his talent became apparent with the debut of a newly composed hymn, To Jordan Came the Christ, Our Lord. The words of the hymn were written by Martin Luther in 1541 to celebrate baptism (Christ Unser Herr zum Jordan Kam), however the music is entirely new, composed by Christian and named for the place it was written, Williamsport. The hymn relates the Bible story of Christ's baptism by John in the River Jordan and, offers hope to those who are baptized. The timing of the hymn's premier was perfect as the Church celebrated the Baptism of our Lord during Sunday services. 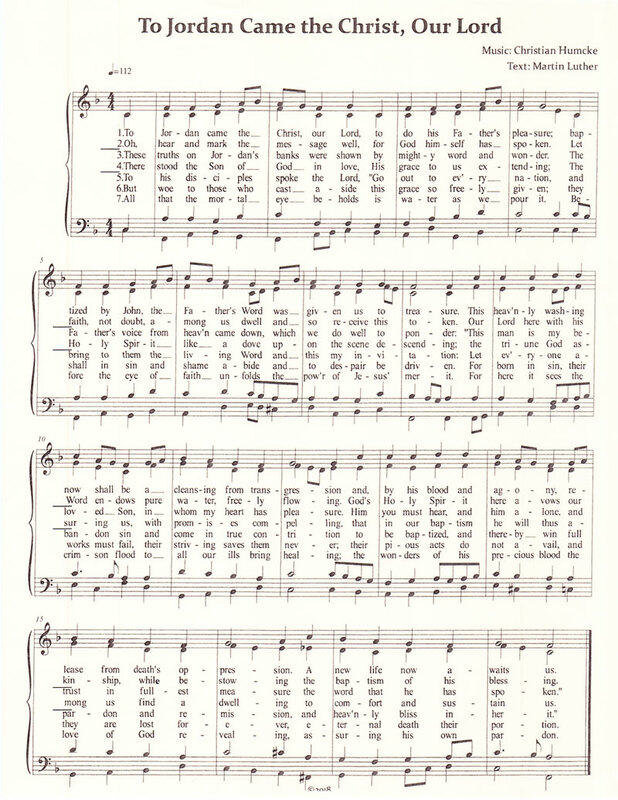 The seven stanza's of the hymn were split up and sung at three different places during the service. The service opened with a choral prelude improvised around the tune of Williamsport. A much "louder and more triumphant" setting of the hymn tune was improvised for the postlude. In all, this was a remarkable effort that was very much enjoyed by the congregation. Christian is to be congratulated for producing a wonderful piece of music, that celebrates a significant event in the lives of all believers.